Watch Video 95 of Natalie chatting with her Nai-nai (Gramma Wang). She's a smartie and can understand and listen to simple commands like "do not eat" (the telephone). 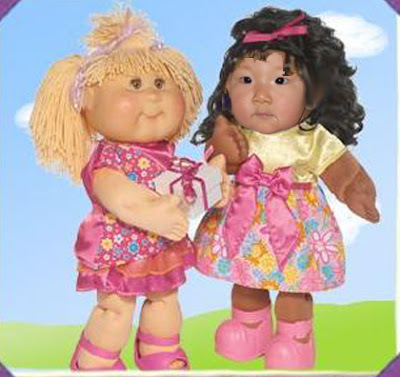 Also, we think Natalie kind of looks like a cabbage patch doll. What do you think?